Gourmet Chocolate Pizza - What's Goin' On In The Kitchen? What could be better than pizza for main course and chocolate for dessert? Mixing them both with this amazing Gourmet Chocolate Pizza of course. 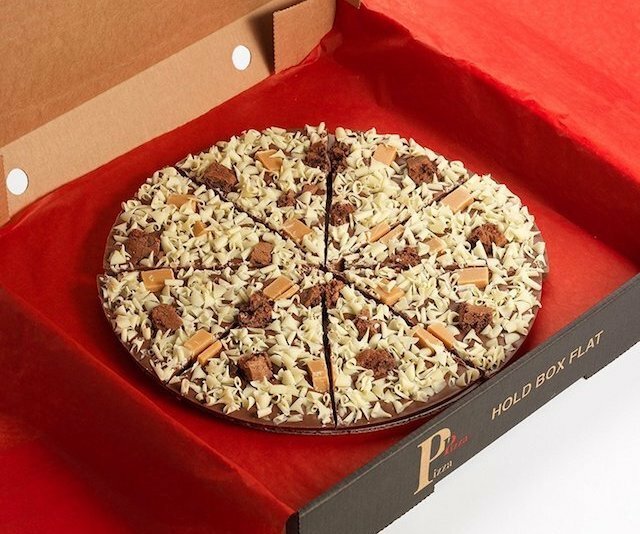 This 7 inch pizza is made with Belgian chocolate, brownie and fudge pieces with white chocolate shavings. Different and quirky, this would make an ideal gift for almost anyone, or even better just treat yourself to this awesome Gourmet Chocolate Pizza right now.